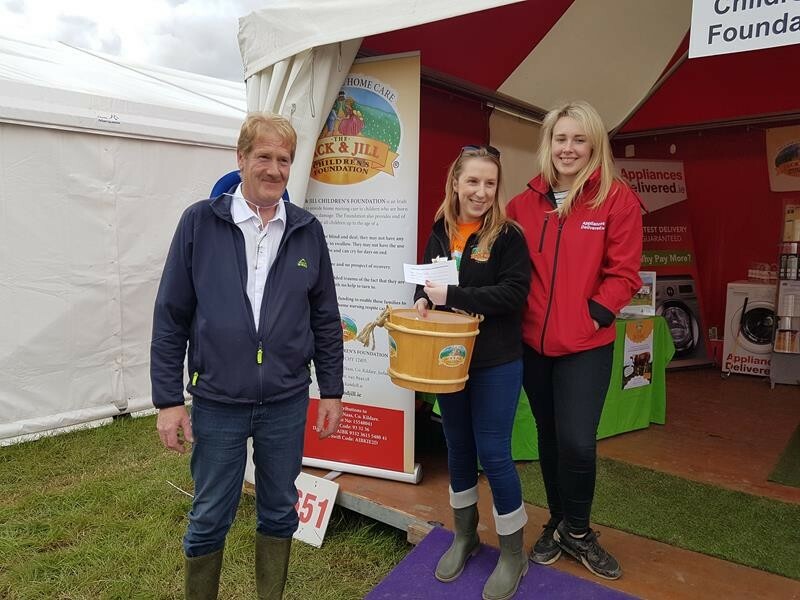 Home › Latest News › Jack & Jill brought ‘Buster’ to the Ploughing Championships + gave away 3 washing machines in a Chip & Win competition! 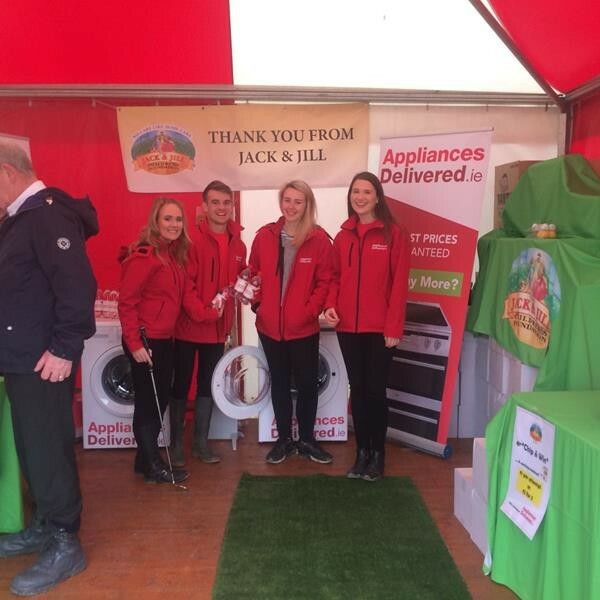 Jack & Jill brought ‘Buster’ to the Ploughing Championships + gave away 3 washing machines in a Chip & Win competition! Thanks so much to friends, both old and new, who stopped by the Jack & Jill Stand at the Ploughing Championships last week! We were very busy selling raffle tickets for our gorgeous “Buster the Bullock” the winner of which will be picked on Saturday 18th March, 2017 so there’s still time to win Buster (or the cash alternative). To purchase tickets please call the Jack & Jill office on 045 894539 or go to www.jackandjill.ie/buster-raffle. There was also fantastic response and great buzz around our “Chip & Win” competition to win a washing machine on each day kindly sponsored by AppliancesDelivered.ie. Congratulations and well done to our lucky winners Fiona Cotter (Tipperary), Lisa Winters (Monaghan) and Tommy Nellony (Sligo). AppliancesDelivered.ie will be in touch regarding delivery of your prizes. A big shout out also to our wonderful volunteers who joined in the fun over the 3 days to help us raise much needed funding for our profoundly sick children in each community across Ireland.